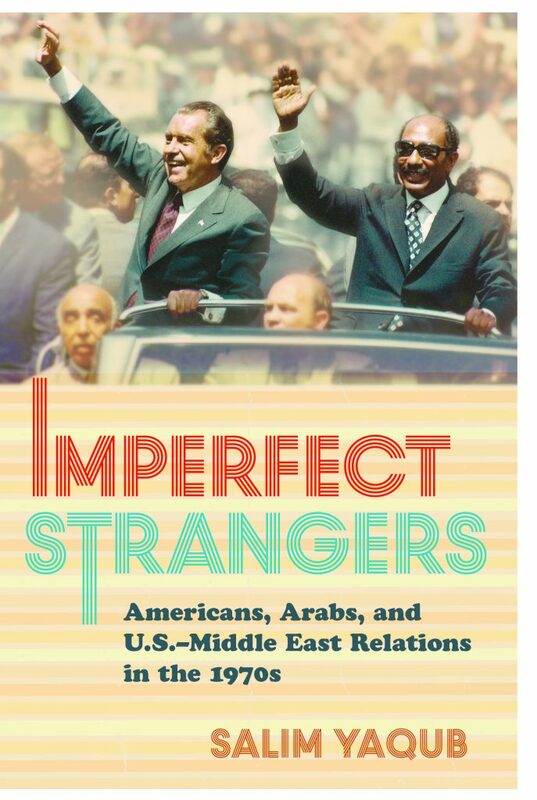 Cornell University Press recently published Professor Salim Yaqub’s new book, Imperfect Strangers: Americans, Arabs, and U.S.–Middle East Relations in the 1970s. Yaqub’s book argues that the 1970s were a pivotal decade in U.S.-Arab relations—a time when Americans and Arabs became an inescapable presence in each other’s lives and perceptions, and when each society came to feel profoundly vulnerable to the political, economic, cultural, and even physical encroachments of the other. Throughout the seventies, these impressions aroused striking antagonism between the United States and the Arab world. Over the same period, however, elements of the U.S. intelligentsia grew more respectful of Arab perspectives, and a newly assertive Arab American community emerged into political life. These patterns left a contradictory legacy of estrangement and accommodation that continued in later decades and remains with us today.